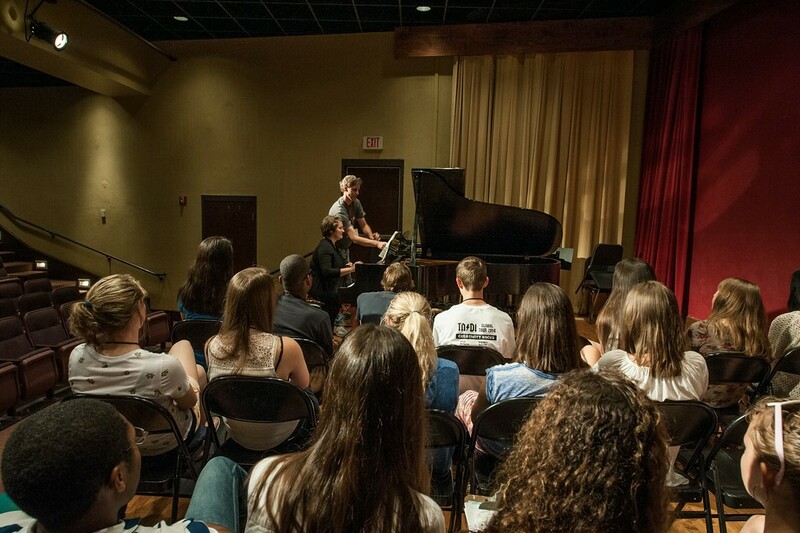 Belmont’s College of Visual and Performing Arts hosted two summer music camps this week. The 10th annual Piano Camp, directed by Dr. Kristian Klefstad, hosted 28 students for master classes, lessons and performances in Harton Recital Hall. The 8th annual Summer Winds Band Camp, directed by Dr. Barry Kraus, welcomed 56 students from around the country for a week of chamber music, jazz ensemble and wind ensemble rehearsals culminating in a performance in McAfee Concert Hall.